One of my greatest life-long loves has been picture books.The incredible journeys and dreams that a reader (or even not-yet reader) experiences within the limited number of pages presented in a picture is unsurpassed as life and literacy moves forward. Anyone who has spent much time around me as a bookseller has, no doubt, heard me say that I believe we take picture books away from children at far too early an age (Generally, only to have the child go back to more 'mature' picture books at a much later age... we call them 'graphic novels' now.) 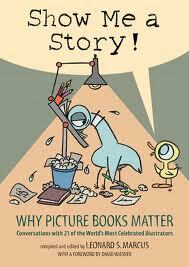 But the pleasures and fascination of picture books remains steadfast in my heart. Picture books do so much for a child (and adult!). Visual literacy developed in the earliest years is the foundation for 'reading' literacy as it help develop the imagination and assists the growing ability to interrupt signs and symbols and to give meaning to the random. (When you consider what letters and written words actually are... this is it..... random symbols that we have lumped together into more random symbols and then assigned meaning to.) The ability to read pictures gives meaning to a seemingly random world. More than this, picture books are usually (and sadly sometimes the only) the first exposure children have to art. Each one exists as a portable gallery exhibition that can be experienced, enjoyed and owned by a child. As we look at what is important to children themselves about reading and books, this business of ownership emerges with more and more frequency, and at earlier ages. That book belongs to them! 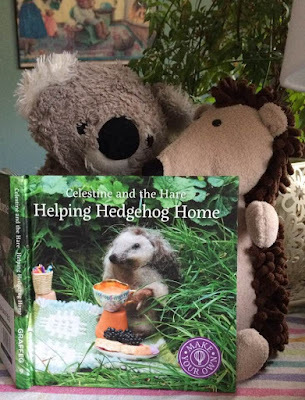 For these reasons, and so many others, I was overjoyed to come across two books these last few months that are any grown picture book - lover's dream! 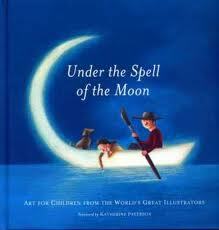 Under the Spell of the Moon: art for children from the world's greatest illustrators is a wondrous collection of picture book illustrations from around the world. Each page features a different illustrator and a verse or line or two from the book represented. Quentin Blake from the UK, Vera B Williams from the USA, Angela Lagos from Brazil, Ange Zhang from China, Eva Eriksson from Sweden.... well, you get the picture.... a world of beautiful, tactile, rich picture book illustration in your hands! Anyone who has ever questions the importance of picture books and the effect they have on a child should have a good read of Show Me A Story: why picture books matter, compiled by Leonard S. Marcus. This book contains conversations with 21 of the world's most famous and celebrated illustrators, speaking frankly about their lives, their work .... and what got them started, why they have/had the passion and the drive for picture books that they had. You will find the likes of John Burningham, Maurice Sendak, Mo Willems, Roberts McCloskey.....along with exceptional commentary and much food for thought. 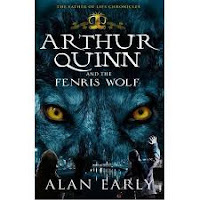 The next installment of the Father of Lies Chronicles... Arthur Quinn and the Fenris Wolf... is due out this September. 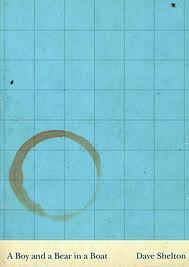 And what a brilliant follow up to Arthur Quinn and the World Serpent! "Life is finally back to normal for Arthur Quinn. Three months ago, he and his friends put their lives at risk to stop the trickster god Loki from taking over the world. However, just when Arthur is starting to relax again, the dreams start once more; dreams of gods, dreams of war, dreams of wolves. It can mean only one thing. Loki is back." Look for it this September... I've had a sneak preview of the proof. It is great!!! (Review coming soon.) And if you haven't read Arthur Quinn and the World Serpent.... what are you waiting for?!? 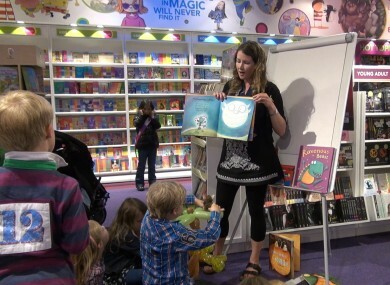 Niamh Sharkey reading to children in a bookshop in Belfast. I just came across this article by Niamh Sharkey (thanks to the equally amazing Maeve Friel) entitled 'Why I Want to Give a Book to Every Child in Ireland.'... an incredible and important idea that needs much support! IN the UK, BookTrust do this with free books to children at birth, to encourage children's literacy. But books in the hands of all children do much more than this... they begin a life long journey of literacy, imagination, creativity, investigation, curiosity. Books help children learn how to think (not what to think) and expand awareness. The challenging times we live in require, and are going to require even more, creative thought process and understanding. And, books offer a much needed escape from the pressures and stress surrounding all children. We know this. You're never lonely; you're never bored if you love books. Now, here's a quote from the article (link below) from Niamh herself. "I believe children are never too young to start enjoying books! Sharing stories and reading pictures enriches children’s lives and fuels their imagination. Parents provide a good reading role model; if your kids see you reading, they will be encouraged to. I’d encourage families to read together." Niamh, if there's anything I can do to help achieve this goal, let me know. I'm right behind you... every child should have books of their own! 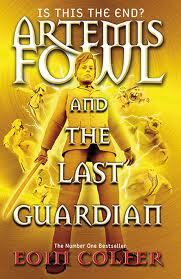 The (final) Return of Artemis Fowl! Out now!!! This is the final chapter for Artemis Fowl. All you Fowl fans, this is a must read! (of course.) With the spirits of the ancient dead warriors (well, not completely dead) rising up and possessing the bodies of Artemis Fowl's nearest and dearest(? ), it time for one last battle. And nothing will ever be the same again. A big congratulations to Maureen Johnson; the new Queen of Teen (and the first American writer to be given the honour.) 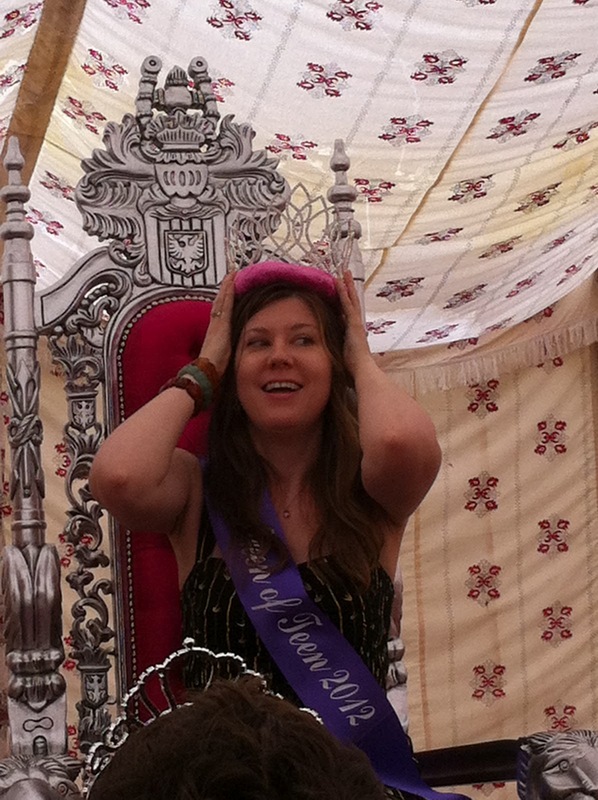 Maureen was crowned Queen of Teen in a ceremony on Thursday , 6th July and was voted in by thousands of you loyal readers! Maureens' books include 13 Little Blue Envelopes, Girl At Sea, Scarlett Fever and The Name of the Star. Congratulations again, Maureen... enjoy your reign! The winner of the 2012 Branford Boase Award is My Sister Lives on the Mantelpiece by Annabel Pitcher, edited by Fiona Kennedy, publisher Orion Children's Books. The Branford Boase Award is given annually to both the author and editor of the most outstanding debut novel for children. 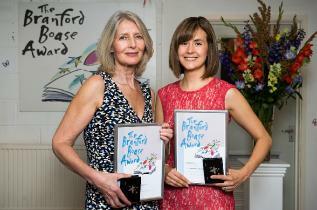 Congratulations to both Annabel and Fiona for their fine work on a truly outstanding novel! But as I am all about the children's books, I can't forget about reading and what the summer brings. The summer months, whether rainy or sunny, was always a time to read what we wanted to read... just for fun! (Which is what reading is supposed to be about.) While there are many new books out for the summer, and many more new ones coming up in the next two or three, I always like to revisit old favourites in the summer months. In the next day or so, I'll suggest some of mine, but in the meantime, here's the link to colleague Kim Harte's appearance on Ireland AM, where she gives a few suggestions (and very good suggestions) about what to look for this summer.